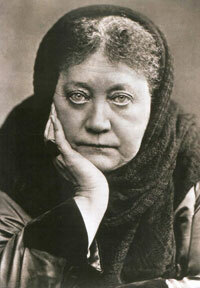 Was Blavatsky a plagiarist and devil-worshipping racist? As several readers have expressed antipathy towards H. P. Blavatsky and questioned her sincerity and probity we have decided to address their concerns in this short article. Preeminent among such assumptions are that Blavatsky plagiarised the works of other authors, promoted the worship of the devil in the guise of 'Lucifer', and was the source of Adolf Hitler's racist ideology. We aim to show that all these assumptions are false and arise from a combination of ignorance and misunderstanding. The first thing we would say is that with very few exceptions, those who share these attitudes have never read her books, despite the fact that almost all of them are readily available in many different formats for anyone to study. The second is that second-hand opinions founded upon rumour and speculation are not the best ways to arrive at the truth about anything. The proof of the pudding is in the eating, not in the words of those who have never tasted it and may have hidden agendas of their own in calumniating the character and work of H. P. Blavatsky. Those who are most critical of Blavatsky invariably regard themselves as liberal, fair-minded individuals genuinely in search of truth. They would be horrified if it were suggested that those who appear before the courts should be judged solely on rumour and the opinions of their accusers without the slightest shred of evidence to support the charges brought against them. Yet, the same critics seem perfectly happy to deny such consideration to the woman they accuse of plagiarism, racism and the promotion of devil-worship. If this is not a double-standard we do not know what is! Let us deal with the accusation of plagiarism first. Those who take the trouble to read Blavatsky's books, or even just the first few lines of the Preface to her master-work—The Secret Doctrine—will quickly learn that she never claimed her books were original. But, let her speak for herself; she writes: "For what is contained in this work is to be found scattered throughout thousands of volumes embodying the scriptures of the great Asiatic and early European religions, hidden under glyph and symbol, and hitherto left unnoticed because of this veil. What is now attempted is to gather the oldest tenets together and to make of them one harmonious and unbroken whole." If collecting together the Wisdom of the Ages and presenting it in a modern way constitutes 'plagiarism' then Blavatsky was undoubtedly guilty of it. But by the same token so were Homer, Plato, Dante and Shakespeare. Every one of them drew the sublime truths in their writings from the works of other authors, both known and unknown. Were they plagiarists too? Let those who imagine there is any new thing under the Sun answer, for the fact of the matter is that there is not. We are all copyists in one way or another and only the most narrow-minded bigot would deny this elementary fact of life. What constitutes 'originality' is the individual spirit an author breathes into his or her creation, thus making it their own. In that regard, Blavatsky only borrowed the body of the ideas and truths in her books from others; the spirit that animated them was hers alone. But this humble woman did not even claim that much credit for her writings, as she herself stated many times, quoting Michel Montaigne: "I have here made only a nosegay of culled flowers, and have brought nothing of my own but the string that ties them. Pull the 'string' to pieces and cut it up in shreds, if you will. As for the nosegay of FACTS—you will never be able to make away with these. You can only ignore them, and no more." Are these the words of a plagiarist? What of the accusation that Blavatsky taught a form of Satanism? To occultists such a suggestion is simply laughable but as it is such a common misconception and not all our readers are occultists, we will try to answer it. The first thing we would say is that the Church does not have a monopoly on the word 'Lucifer' nor its definition. The Church's use of the word as a synonym for the devil is of very recent origin which was adopted to strengthen its hold over the superstitious minds of its followers which it did nothing to enlighten, as you can read in our article on How Peace leads to War. Many readers may be surprised to learn that the word Lucifer occurs only once in the whole Bible, and then only as a synonym for Light and goodness not darkness and evil. "How art thou fallen from heaven, O Lucifer, son of the morning!" (Isaiah 14:12). 'Lucifer' is simply the Latin equivalent of a Hebrew word meaning 'bright star' or 'shining one' used by the translators of the Bible. Lucifer literally means Light-bringer, Light-bearer, Bringer of Dawn, Shining One, or Morning Star. The word has no other meaning in Latin. Moreover, the bright 'Morning Star' was the symbol and harbinger of the Light and Love of God among many ancient nations, including the Chinese, Indians and Egyptians, who all associated it with the planet Venus. Were these nations devil-worshippers too? Only the most fanatical and dogmatic of Christians would say so. It was not until the 6th century that Pope Gregory (540-604 A.D.) first called attention to the verse from Isaiah and used it to equate Lucifer with Satan. In this way he cunningly robbed the hated Gnostics of their Light-bringer whose 'heresies' threatened the dominance of the Church, and at the same time, added another stick with which to beat the 'faithful' into submission by reinforcing the dogma of 'original sin' from which taint only he and his fellow priests could absolve them. But the identification of Lucifer with Satan did not take root in the popular mind until much later when Milton adopted the word for the principle actor in his metaphysical drama Paradise Lost in 1667. Yet, as we have seen, Satan has nothing in common with the bright 'Morning Star' worshipped by the Babylonians and ancient Hebrews other than the name Lucifer. Despite this, the Church's imposture was completely successful and Lucifer has been associated with Satan ever since, except in the minds of those who, like Blavatsky, know that to conflate the two is as inexcusable on historical grounds as it is on theological or moral grounds. Readers who, despite these facts, remain unconvinced that Lucifer is not Satan are advised to turn to Revelation, chapter 22, verse 16, in which they will find: "I Jesus have sent mine angel to testify unto you these things in the churches. I am the root and the offspring of David, and the bright and morning star." Had the compilers of the New Testament chosen to translate this verse into Latin as they did with the verse from Isaiah, it would read "I Jesus. . .am the root and the offspring of David, and Lucifer." Although Revelation was compiled in the 1st century it was not included in the Biblical canon until well after Lucifer had already been adopted as a synonym for Satan. So it is not surprising that the Church favoured its translation of 'bright and morning star' over the contentious word 'Lucifer' found in Isaiah. From this it must be clear that those who persist in their assumption that Lucifer is the devil cannot appeal to the Bible in support of their misconception. You can read more about the esoteric meaning of the word Lucifer in our afterword to this article. As for Hitler and his evil ideology, need we remind you of the many evil men and women throughout history who have used the Bible as a means of inflicting the most terrible cruelties and persecutions upon mankind in pursuit of their agendas? Even today, in the so called 'Bible Belt' of the United States, we find pious 'Christians' who would burn homosexuals if they could and hate everyone who does not adhere to their narrow, bigoted creed. Does that make the Bible the work of Satan and Jesus a devil-worshipper? In the same way the Church misappropriated and perverted the grand symbol of Lucifer for its own propaganda purposes, so did the Nazis pervert the metaphysical doctrine of the 'Root Races' of mankind they filched from Blavatsky's books to support their dogmas of racial supremacy. The irony is that the Aryan race which formed the cornerstone of Hitler's mad ideology was itself the direct descendant of the fifth subrace of the Atlantean race—the Semitic. Yes—the Nazi's 'blue-eyed', blond 'superman' was fathered by the hated Semites, as anyone who bothers to consult The Secret Doctrine may read for themselves. Sadly, few take the trouble to do so, preferring to obtain their so-called 'facts' at third-hand from rabid conspiracy theorists who have never read Blavatsky's books and unjustly accuse her of 'racism'. So 'racist' was Blavatsky that she not only mixed with 'niggers', as the British imperialists called the native inhabitants of India, but actually shared her meals with them, an unheard of 'crime' in the 19th century which resulted in her constant persecution and ostracisation by the 'civilised' white rulers of the British Empire. These are documented facts anyone may verify for themselves, but alas, once again, none of her detractors and critics ever do so; we wonder why? Are we to condemn that great and noble woman because some people insist on swallowing the baseless calumnies heaped upon her innocent head by her enemies? Are we to blame her because a dictator and his misguided followers chose to misinterpret and misuse her teachings for their own, evil ends? If we do, we must condemn Jesus too. For more blood has been shed in his name than even Adolf Hitler shed during his brief reign of despotism. The fact of the matter is that there is no text so holy, nor any teaching so elevated that it cannot be distorted and dragged down into the mud to serve the immoral and evil ends of religious, political or social expediency. The Bible tells us that "by their FRUITS shall ye know them." One of Blavatsky's many 'fruits' was the creation of a world-wide brotherhood of men and women from all walks of life and all races and creeds who took as their motto 'There is no Religion higher than Truth', and who tried to improve worldly conditions for all mankind. The fact that the Theosophical Society she helped to found failed to live up to the high hopes she had for it and has since split into several different and often antagonistic organisations is no reflection on her or the fundamental truths she taught, but the inevitable result of man's ignorance, self-interest and greed. The same happened to the teachings of the Buddha and Jesus, for when the Shepherd departs, the sheep go astray. It has always been so and always will be so. When, just before her death, Blavatsky was asked to write a book in question and answer format that would answer the many occult and philosophical questions put to her over the years, her followers suggested that she adopt the title 'Master' for her answers. She was both horrified and angered in equal measure by this suggestion, for she had never claimed to be anything more than a student of the Mysteries she taught. Nor would she accept the accreditation 'teacher' either, much less 'guru'. Finally, it was agreed that she be identified simply by the word 'Theosophist' and her questioner as 'Enquirer' as you may read in the published book—The Key to Theosophy. In the same book Blavatsky was asked: "What do you consider as due to humanity at large?" The answer she gave was: "Full recognition of equal rights and privileges for all, and without distinction of race, colour, social position, or birth (The Key to Theosophy p. 230-231). Are these the words of a plagiarist and devil-worshipping racist? You decide! © Copyright occult-mysteries.org. All rights reserved. Published 20 March 2017. In our afterword we quote the actual words of Madame Blavatsky about the misunderstood and misinterpreted emblem of Lucifer—the Light-bringer. "No fitter symbol exists for the proposed work—that of throwing a ray of truth on everything hidden by the darkness of prejudice, by social or religious misconceptions; especially by that idiotic routine in life, which, once that a certain action, a thing, a name, has been branded by slanderous inventions, however unjust, makes respectable people, so called, turn away shiveringly, refusing to even look at it from any other aspect than the one sanctioned by public opinion. Such an endeavour then, to force the weak-hearted to look truth straight in the face, is helped most efficaciously by a title belonging to the category of branded names." We made the same choice for the same reasons when we chose to call this website 'Occult' rather than 'hidden' mysteries which would have been just as appropriate but not nearly as controversial or thought-provoking. Ironically, had we chosen the title 'Luciferian Mysteries' we would attract far fewer would-be witches, sorcerers and other colourful thrill-seekers and mystery-mongers, such is the very much worse evil connotation the word 'occult' now has than Lucifer enjoyed in Blavatsky's time. Not that either word is understood any better today. We doubt whether any but a handful of our readers will agree with the following explanations given by H. P. Blavatsky about Lucifer in The Secret Doctrine. "The (Biblical) Fall was the result of man's knowledge, for his 'eyes were opened.' Indeed, he was taught Wisdom and the hidden knowledge by the 'Fallen Angel,' for the latter had become from that day his Manas, Mind and Self-consciousness. In each of us that golden thread of continuous life—periodically broken into active and passive cycles of sensuous existence on Earth, and super-sensuous in Devachan—is from the beginning of our appearance upon this earth. It is the Sutratma, the luminous thread of immortal impersonal monadship, on which our earthly lives or evanescent Egos are strung as so many beads—according to the beautiful expression of Vedantic philosophy. "And now it stands proven that Satan, or the Red Fiery Dragon, the 'Lord of Phosphorus' (brimstone was a theological improvement), and Lucifer, or 'Light-Bearer,' is in us: it is our Mind—our Redeemer, our intelligent liberator and Saviour from pure animalism. Without this principle—which radiates direct from the Divine Mind—we would be surely no better than animals." (ibid. Vol. 2, page 513). If you wish to learn more about the life and work of H. P. Blavatsky and the subjects discussed in this article, you can find further information below. An Examination of the Hodgson Report of 1885 by Vernon Harrison, Ph.D.